Alicante is one of Spain’s best places to escape to, blessed with a little bit of just about everything you want on a Mediterranean break. There’s a gorgeous old town, atmospheric tapas bars and majestic architecture that gives you a fascinating glimpse into the past. Best of all, however, are Alicante’s beaches. The city is lined with sandy shores, perfect for relaxing, but venture a little further up the coast and you’ll find beaches that cater to every mood. Whether you want to swim, snorkel or sunbathe, organise car hire in Alicante and discover the perfect beach for you. If you want to work on your tan, head to San Juan Beach, approximately 20 minutes’ drive from Alicante. The sand is soft and warm, shimmering with a white-gold hue in the Spanish sunshine, while the cool waters lap against the shore. This beach stretches for two miles, so you can find a good spot even in the summer season. Bring your towel or pay a small charge to rent a sunbed and umbrella. Welcoming restaurants and cafes hug the back of the beach, providing plenty of spots for lunch or a cooling drink under the shade of the palm trees. 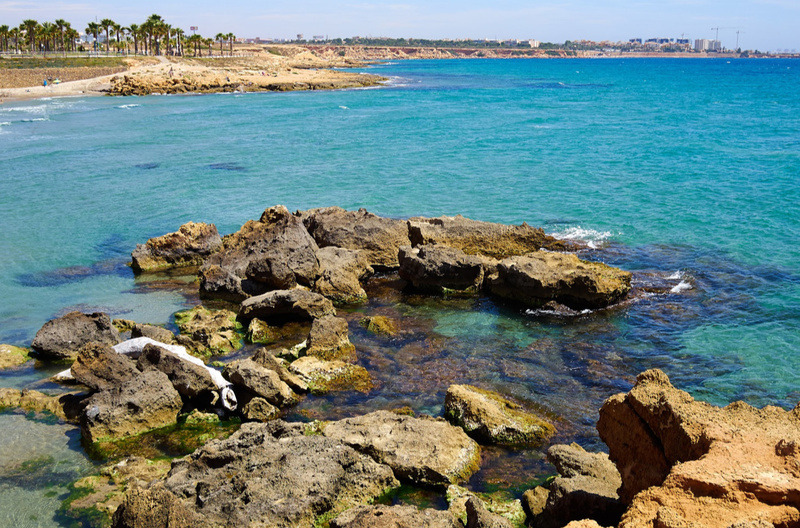 The sheltered coves found on Alicante’s shoreline provide ideal conditions for swimming, snorkelling and floating in the ocean. La Granadella Beach, close to Javea, is a deep horseshoe-shaped cove filled with vivid turquoise water, which gleams like a precious stone. Rocky outcrops surrounding the shingle beach keep the water calm and gentle, inviting holidaymakers to enjoy a refreshing dip. Pack your snorkel and swim out to the lush green seagrass beds, found about 20 metres from the shore, to see vivid fish dancing through the underwater meadow. For a quieter experience, head for La Caleta Cove, near the rainbow-coloured town of Villajoyosa. 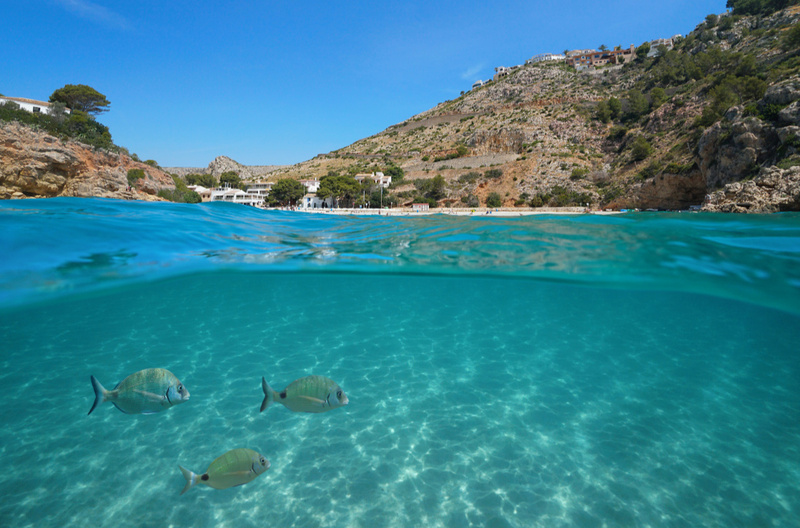 Just half an hour’s drive from the centre of Alicante, this pebbled beach offers sun-kissed solitude, where the clear water is perfect for snorkelling and scuba diving. For little ones, building sandcastles and paddling in the sea is the highlight of the holiday. Playa Los Naufragos, on Torrevieja’s south side, is a blue flag beach that has three surveillance towers and lifeguards, so you can all relax in safe conditions. Just a 10-minute drive inland is Aquopolis, a superb water park with everything from toddler-friendly slides to rapid rides. When you’re all worn out, there’s a burger restaurant and ice cream stand onsite, so you can have something to eat before piling back to the hotel for a siesta. For serenity and seclusion, Playa Flamenca might be your perfect match. This serene stretch of sand is less than an hour’s drive from Alicante, just outside Torrevieja. You can hire a sun bed and make the most of the small but perfectly formed white sandy beach or go one better and hire a boat for a day of sunbathing out on the deep blue. 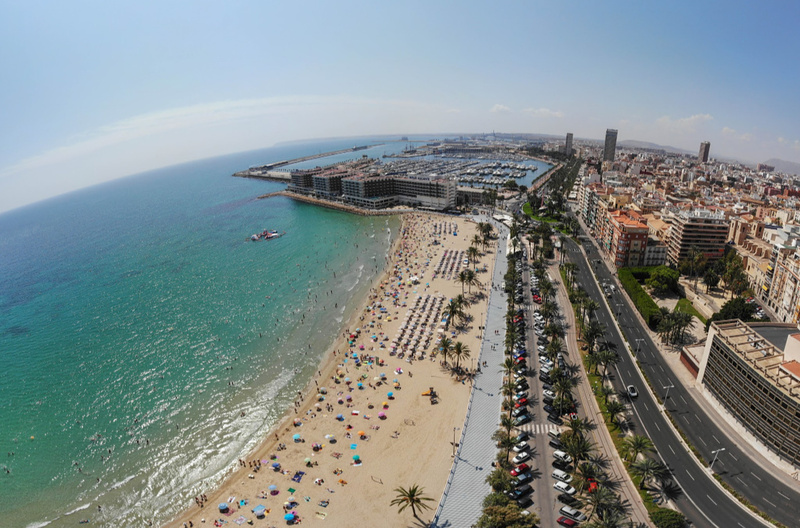 With so many beaches to choose from, Alicante promises you the holiday of your dreams. From watersports to speedboats, swimming to sunbathing, organise car hire in Alicante and find your perfect spot on this charming coastline.